10GBASE-LX4 vs 10GBASE-LRM, Which One Wins? For 10 Gigabit data transmission, various physical-layer interconnects are available, such as 10GBASE-LX4, CX4, SR, LR and ER as well as 10GBASE-LRM. With so many options, you may be confused which one is the best. This article will discuss two options requiring for multimode fibre cable. They are 10GBASE-LX4 and 10GBASE-LRM. Which one do you think is better? Now maybe 10GBASE-LX4 is not so popular. But it’s not the same case several years ago. This standard is the first optical interface standard developed to run at 10 Gbits/sec over multimode optical fibre backbones in vertical risers. LX4 was robust and stable. Many vendors have produced 10GBASE-LX4 related equipment. Once there was an industry trade group—the LX4-TG (LX4 Trade Group) formed to promote LX4 technology. Later, the LRM standard is developed by the same IEEE group that generated the 10GBASE-LX4 standard. The specifications can only support the distance of 220 m. At first, technicians intended to stretch the coverage to be 300 m. However, it’s too risky and limited the ability to release the standard in a timely manner. The reduced distance is good for more robust LRM operation, but may limit the product’s applications in some building backbones. 10GBASE-LX4 transceiver module can be used for both single-mode or multimode fibre connection with distance up to 10 km and 300 m. LX4 applies CWDM technology using four wavelength—transmitters near 1300 nm, a CWDM multiplexer and demultiplexer, and four receivers. The advantage of this approach is that the transmitters and receivers are all operating at about one-quarter of the data rate; so the data transmission is robust to modal dispersion. But it has the disadvantages of high cost, big size and non-manufacturability. While 10GBASE-LRM uses wavelength of 1310 nm with a single transmitter and a receiver with an adaptive electronic equalizer IC in the receive chain. LRM module has a simpler optical path. The laser of LRM module can be a distributed-feedback (DFB) laser, a vertical-cavity surface-emitting laser (VCSEL), or a Fabry-Perot (FP) laser. Both DFBs and VCSELs provide a very clean, single-wavelength output, which minimises signal degradation due to spectral effects. And an FP laser source can produce a range of different wavelengths. Different wavelengths travel through the fibre at slightly different speeds, creating additional jitter which will be recovered by the EDC known as adaptive equalization technology. EDC is used to compensate for the differential modal dispersion (DMD) present in legacy fibre channels. The 10GBASE-LRM approach has three key advantages over 10GBASE-LX4. The following will give an introduction from three sides. Size — 10GBASE-LX4 uses four lasers and laser drivers and four photodiodes and preamplifiers, which makes LX4 module a big size. But LRM uses the same optical component footprint as other 10G modules, with EDC functionality. Cost — 10GBASE-LRM devices cost less than 10GBASE-LX4 equipment. From the point of manufacturing yields and packaging and assembly cost, the price of LX4 is higher than that of other short reach 10G modules. By contrast, LRM substitutes low-cost silicon for the optical complexity of LX4. So it greatly reduces the cost. Assembly — 10GBASE-LX4 requires a significant amount of assembly (splicing, fibre attach and routing, and in some cases multiple personal computer boards, flex cables, etc.). Thus it naturally reduces yields at the module level and makes the module difficult to be manufactured. However, LRM requires no extra assembly compared with existing 10G SR SFP+ or 10G LR SFP+ modules. 10GBASE-LX4, as the first standard developed for 10GBASE data rate over multimode fibre backbones, has its special significance in the fibre optic communication history. As technology is continuously developing, so better objects will be created and replace the not so good ones. LRM is another standard for 10GBASE. It turns to be more popular with its smaller size, lower cost and greater manufacturability. 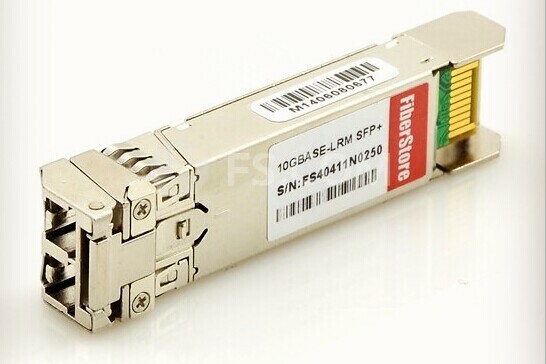 So 10GBASE-LRM SFP is a good choice for your 10GBASE network. 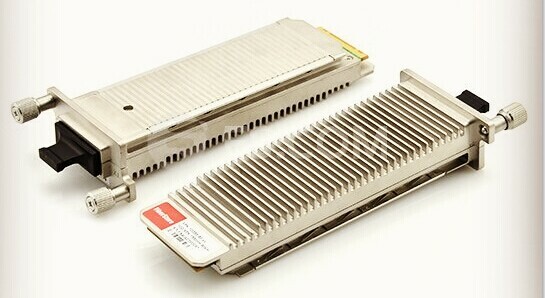 FS.COM offers Brocade 10G-SFP-LRM compatible 10GBASE-LRM SFP 1310nm 220m DOM transceivers and other 10G SFP modules. Each transceiver has been tested on full range of Brocade equipment to keep 100% compatibility. Any service, please contact via sales@fs.com. This entry was posted in Fiber Optic Transceivers and tagged 10GBASE-LRM, 10GBASE-LX4 on June 24, 2016 by laura.